My friend Chris Stack over at ExperimentalSynth.com just posted a cool video on his YouTube channel https://www.youtube.com/user/experimentalsynth. Watch Koushion 4.0 MIDI CC Sequencing with Moog Slim Phatty & Little Phatty. 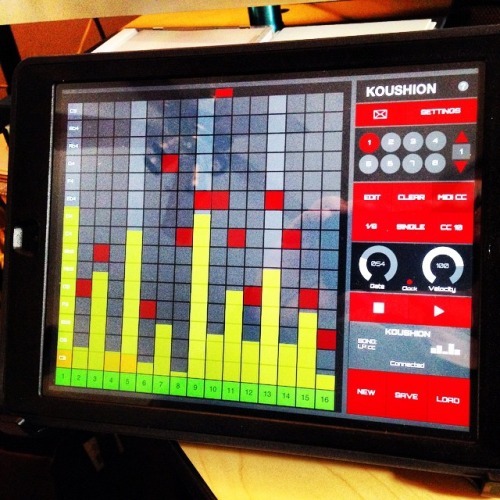 Some first experiments with sequencing MIDI CC values with the Koushion iPad app. New features in ver 4.0 allowed me to control multiple CC parameters simultaneously while also sequencing notes.